Hearthstone is one of Blizzard’s finest creations, benefitting from millions of players competing in their tournaments both on a professional and amateur level. When stakes are so high, it’s only natural to see players seeking out the best Hearthstone cards to add to their decks. The situation becomes even direr when the time comes to decide how to spend your (incredibly) hard-earned dust to craft a legendary card. Either way, one thing is for certain: everyone wants the best Hearthstone cards and the best combinations possible. In the following paragraphs, we’ll hopefully cover the most important tips and strategies for your deck. For Tier 1, the most obvious choice is Paladin, a class that saw many improvements since the various patches introduced throughout 2016. It started gaining terrain against veteran Mage class and it’s now an almost immediate go-to choice for any Arena participants. Best Hearthstone Cards: Shielded Minibot, Truesilver Champion, Argent Protector, Murloc Knight, Seal of Champions. The previous undefeated champion class Mage holds a spot in here, granted by the ever-so-dreadful board-clearing potential that’s been making it so difficult to defeat in combat. Druid is pretty much the best of all worlds, coming packed with advantageous common cards, as well as cards that boost Mana and board presence. Last but not least, Rogue comes with all kinds of benefits for those willing to build a deck that’s aggressive enough. Best Hearthstone Cards: Swipe, Druid of the Claw, Savage Combatant (Druid); Flamestrike, Frostbolt, Polymorph, Mana Wyrm (Mage); Deadly Poison, Backstab (Rogue). Tier 3 has plenty of opportunities to shine, albeit in much more specific ways. Here you find Hunter, a class that requires an early-game tempo, Priest, which needs you to focus on building a control-oriented deck, Shaman, a solid option for talented common cards, and Warlock, the one that will let you worry less about health early-game. Best Hearthstone Cards: Power Word: Shield (Priest); Hex, Stormforged Axe (Shaman). If there’s ever been a constant in Hearthstone, it’s the fact that Hero really isn’t the best class to play in Arena, at least. Until Blizzard does something to give more advantages, this is as best as it will get. Sylvanas Windrunner: Sylvanas is a horrible card to play against, but an undefeatable and frustrating asset if it’s on YOUR side of the board. Fandral Staghelm: The best proof that you don’t need to invest a lot of resources and risk to reap fruitful results. Tirion Fordring: With a 5-to-1 trading prowess, his reign has only been strengthened since the introduction of N’Zoth. They go hand-in-hand and you need them, well… in your hand. If playing either of these classes, you can’t skip on this opportunity. With these stats right before our eyes, it wouldn’t be too much of a stretch to say that Rogue seems to excel in the Hearthstone cards department, delivering practical, balanced, and deadly combos. Moreover, Circle of Healing is an undoubted inclusion, if anyone ever thought otherwise. The main purpose of a card combination, which is going to tell you whether it’s effective or not, is to offer opportunities for damage bursts or board clearance that you otherwise wouldn’t get. The most important tip we can provide, however, is that all Hearthstone cards end up being yours, especially as time goes on. We provide our five cents regarding combinations and Legendary Cards, but at the end of the day, the decisive factor here is your personal play style. 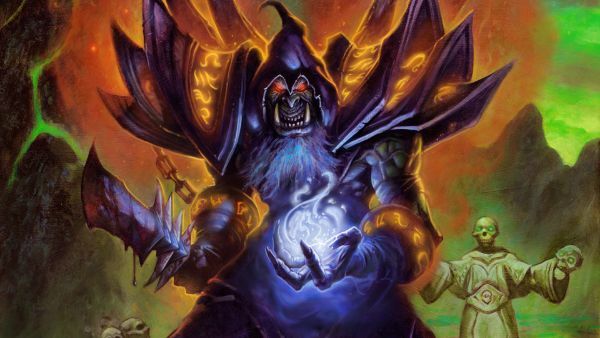 If you’re a newcomer just starting out in the world of Hearthstone, all we can say is that it may take a while before you reap what you sow. Paladin might be great and mighty, but if you simply cannot cooperate with its requirements and play style, it’s all for naught. Try all possible combinations, there’s always room for bettering yourself.